PulseGuard are excited to announce the release of PulseGuard v2.0 in partnership with Alert-iT Care Alarms which will be made available from mid-May. This update will merge the features of PulseGuard Pro together with the standard PulseGuard software, creating one new system incorporating Alert-iT’s Advanced Paging Solution. 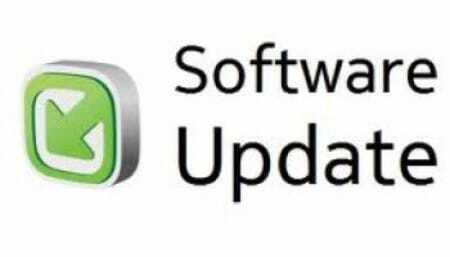 Essential software update – To function correctly with the current version of Apple’s IOS operating system. Continuous recording option – This feature introduces a change from the normal data recording function. Instead of only recording the instances the alarm is activated, continuous recording will record the entire session, from the moment you press connect to the moment you press disconnect. Password Protection – This feature allows you to lock down all the functions on your device in order to prevent unwanted changes while the device is in use. Advanced Paging Solution – The PulseGuard is now able to connect to the Alert-iT failsafe pager. Working up to 450 meters, this flagship Pager introduces an advanced alerting function, personally alarming you to any instances as well as monitoring the full functionality of the equipment, giving the carer reassurance and freedom. Failsafe Disconnect – The new system will introduce a two stage disconnect function to the disconnect button. This will prevent accidental disconnects of the device by providing a count down to the disconnect and then a second message to confirm. A new updated manual – this is built into the PulseGuard software and available from within the About screen. This will include more information about all of the changes introduced as well as being available for download from the PulseGuard website. Minor bug fixes – that occurred with the previous IOS update. As a special bonus to all our existing customers who own a PulseGuard system, we are offering a 20% Discount on any purchase of an Alert-iT Advanced paging solution. For more information on this offer, please contact sales on 01622 321111. Just wondering if this software update is available to us when it’s released? We purchased our daughters Pulseguard back in 2014 and the iPad is still on the original iOS. Will there be instructions on how to update when it comes out? So excited to hear about the upgrade version. Is there an exact date? Will existing customers have to pay anything?